Hammond, Oct. 4 – Mrs. Stella Downing died at the Blossburg hospital Monday Sept. 27 of a complication of diseases after a long illness aged 68 years. She was born in Elmira and spent most of her life at Hammond. She is survived by Albert Downing, Mrs. Briggs Spaulding and Clarence Downing of Corning, Nida, of Buffalo, Jesse Horton and Louis Downing, of Tioga, and Arthur at home and several grandchildren. She was a member of the Baptist church of Hammond. Rev. Dr. McCormick, of Tioga, officiated at the funeral; burial in the Hammond cemetery. Mrs. Clarence Downing – Mrs. Jeanie Downing of Tioga died Sunday, December 27, 1959 following an illness of six years. Born March 4, 1867 in Scotland, she was the daughter of David and Margaret Kelly McKeckney, and came to the United States in 1880. She was the widow of Clarence Downing and a member of the Tioga Baptist church. Surviving are one son, Herbert of Corning, N.Y.; six grandchildren, 16 great-grandchildren and one niece. Funeral services were held Tuesday, the Rev. Orey Crippen officiating. Burial was in the Hammond Cemetery. Henry H. McLean age 85 of East Ave. Wellsboro died Tuesday June 22, 1969. He was a member of the Hammond Baptist Church, Cortland, N.Y. Moose Club and also a member of the Pioneer Club (N Y S Chapter) of the Bell Telephone Co. He is survived by is wife, Mrs. Marietta Owen McLean and one sister, Mrs. Ida Losey, of Geneva, N.Y. The funeral was held at the Hammond Baptist Church on Wednesday. The Rev. Gordon Abrams and the Rev. Fay Crossman officiated. Burial was at Hammond Cemetery. Funeral arrangements were made by the Kuhl Funeral Home. Hammond, Jan. 27 – John McLean, aged 68 years, died at his home here Saturday, Jan. 18, after a long illness. He resided here nearly all his life and had many friends. He is survived by his wife and three daughters, Mrs. Peter Marvin, Mrs. Frank Losey, of Elmira, and Miss Clara McLean, of this place; also one son, Henry, three brothers, who reside in the west and two sisters. The funeral was held at his home Wednesday afternoon, Rev. George G. Burroughs, of Harrison Valley, officiating; burial in Hammond cemetery. Crookedcreek, Feb. 18 – Mr. James McWhorter, aged 88, died last Tuesday. He leaves a wife, two sons, and one granddaughter to mourn his death. The funeral was held at the house Thursday, Rev. Mr. Bishop, of Tioga, officiating; burial in the Hammond cemetery. Crookedcreek, Jan. 29 – Thomas McWhorter, a former resident of this place, died at the home of his daughter, Mrs. Peter Conklin, of Baer Creek, Sunday noon, after a short illness of pneumonia. William McWhorter died last week Monday at his home near Holiday. He was about 68 years of age. He leaves one brother, Thomas McWhorter, and one niece, Mrs. William Concklin, of near Holiday. The funeral services were held at the home Wednesday at 2 o’clock, Rev. Mr. Frith, of Tioga, officiating; burial in the Hammond cemetery. Crooked Creek, Aug. 21 – Alonzo Mitchell, an esteemed citizen, died Sunday evening, aged 80 years. He was born in the house that William Mitchell, his half-brother, now owns and occupies. He married Miss Elizabeth Anderson in 1841, and after his marriage always lived on Hills creek. He owned and operated the grist mill for years and then settled three quarters of a mile above the mill. He was for many years the superintendent of the union Sunday school here. He was the father of nine children, six of whom survive him. Louise M. Age 89, of Wellsboro, PA, formerly of Hammond, PA, September 29, 2001 at home. She was born October 30, 1911 in Tioga, PA, the daughter of William E. & Nellie Houghton Mitchell. Louise was a graduate of Mansfield Normal School Class of 1931. She was an active member of the Middlebury Baptist Church, Sunday School, & Mission Society. Louise is survived by a daughter & son-in-law, Sally & James Broyles of Snellville, GA, a sister, Helen Miskimins of Salem, OH, 2 nieces & families, Margaret Weingart & Mary Bryan, all of Salem, OH. She was predeceased by her husband, A. Clark, on January 17, 1998, & a brother, Winfield Mitchell. Friends are invited to call at the Wilston Funeral Home, 18 N. Main St., Mansfield, PA, Tuesday 7-9 PM & Wednesday 1-2 PM. Funeral services will follow there Wednesday at 2:00 PM with Rev. Alex Perednia, her pastor, officiating. Burial in Hammond Cemetery. Family will provide the flowers. Memorial contributions in Louise's memory may be made to the Middlebury Baptist Church, P.O. Box 306 Middlebury, PA 16935. Hammond, April 3 – Mrs. Elizabeth Carleton, of Holiday, died Friday. She was a former resident here for many years. The funeral was held Monday; burial in the Hammond cemetery. Crooked Creek, Apr. 3 – Mrs. Elizabeth Carleton was born Nov. 24, 1851, at Smithfield, Bradford, Pa., and died at her home here March 30, 1934. She was married Oct. 28, 1874, to William Carleton at Tioga. Mr. and Mrs. Carleton resided several years at Hammond, where they kept store and postoffice and also lived near Lawrenceville, and spent ten years in Corning, moving back to Middlebury Center and spent a few years there. During the past eight or ten years they lived with their son, Ben Carleton and family. Mr. and Mrs. Carleton lived together 55 years, celebrating their golden wedding anniversary nine years ago, Mr. Carleton died Jan. 10, 1930. Mrs. Carleton was a faithful member of the Baptist church here. This tribute was paid by her pastor, Rev. Orey Crippen, “She was the kind of church member that any minister would be proud to be called her pastor. When Mrs. Carleton was a young lady she worked in the home of Rev. Sheardown a Baptist minister who helped organize the first Baptist work in this community over 100 years ago and at the centennial celebration of this work Aug. 17, 1931, gave a paper, “Memories of Elder Sheardown”. During the recent revival meetings here, although the weather was severe, Mrs. Carleton was in her accustomed place at the church nearly every night. She had a great collection of poems. She was loved by old and young, often reciting portions of scripture and poems at the Young People’s service and in the public school. The third, fourth, fifth, sixth, seventh and eight grades and teachers went in a body to pay their last tribute to one whose memory will linger long with them because of her encouragement in her cheerful and helpful manner. The whole community mourns her passing. The following survive her, four children, John Carleton, of Philadelphia; Mrs. Ray Guiles, of Corning; Ben, of this place, and William, of Campbell, N.Y.; five grandchildren, Ralph and Geraldine Carleton, of this place; Norman Guiles, of Elkland, Mrs. Harry Payne, of Corning; Mrs. William Payne, of Painted Post; two great-grandchildren, Ray Guiles, of Elkland and Ivan, and Arlene Payne, of Painted Post. The funeral was held at the Baptist church Monday, Rev. Orey Crippen, officiating; burial in the Hammond cemetery. The out-of-town friends who attended the funeral were: Mr. and Mrs. Ray Guiles, Mr. and Mrs. Harry Payne, of Corning, Mr. and Mrs. William Payne, of Painted Post, Mr. and Mrs. William Carleton and Arlene, of Campbell; Mr. and Mrs. George Albion, of Medina, N.Y.; Hiram White, of Rochester, Mr. and Mrs. Jay Wanzo and Mrs. Eva Nichols, of Nichols; Mrs. Donald Nichols, of Waverly; Isaac Bravamen, Hiram Carleton, Mr. and Mrs. Kelsey Carleton, Mrs. Ruth Phillips, Mr. and Mrs. T. G. Betts and daughter, Miss Laura Betts, of Corning. The young and only child of Mr. and Mrs. Ed Padgett died Friday afternoon of measles. The funeral was held on Sunday, followed by burial in the Hammond cemetery. Mrs. John Starkey died at her home at Middlebury Center Thursday evening, aged 61 years. Her maiden name was Caroline Palmer, she was born in this county and was a daughter of Mr. Samuel M. Palmer, of Rutland township. She became the wife of Mr. Starkey 41 years ago and was the mother of eight children, six of whom, with her husband, survive her. Funeral services, conducted by Rev. N. L. Reynolds, of Wellsboro, were held at Hammond, Saturday afternoon, the large attendance testifying strongly to the esteem in which Mrs. Starkey was held. ELMIRA | Michaelina A. (Peldunas) Zdrojewski, 85, of Tioga Pa., died Thursday, Oct. 14, 2004 at Arnot Ogden Medical Center. Survivors include her husband, Frank Zdrojewski; a son, Frank Zdrojewski of Tioga, Pa.; a daughter, Joan Geraci of Philadelphia. Calling hours are 6-8 p.m. today at the Jacqueline A. Buckheit Funeral Chapel, 637 S. Main St., Mansfield, Pa. A Mass of Christian Burial will be celebrated at 11 a.m. Monday at St. Mary's Catholic Church in Tioga, Pa., the Rev. Albert Leonard officiating.Burial will be in Hammond Cemetery, Middlebury Twp., Tioga County PA.
Michaelina A. Peldunas Zdrojewski, 85, of Tioga, died Thursday, Oct. 14, 2004 at Arnot Ogden Medical Center, Elmira, N.Y. Michaelina was the wife of Frank J. Zdrojewski. They observed their 58th wedding anniversary on June 22. Michaelina was born Oct. 24, 1918 in Philadelphia. She graduated from Halahan Catholic High School in Philadelphia; was a member of St. Mary's Catholic Church in Tioga; loved playing bingo; crocheting; knitting; and crossword puzzles. Michaelina is survived by her husband, Frank, son, Frank Zdrojewski of Tioga; daughter and son-in-law, Joan and Paul Geraci of Philadelphia; three grandchildren, Nichole, Frankie, Paul; and one great grandson, Issac. Family and friends were invited to call Sunday, Oct. 17 at the Jacquelyn A. Buckheit Funeral Chapel, Mansfield. A Mass of Christian Burial was celebrated Monday, Oct. 18 at St. Mary's Catholic Church, Tioga with the Rev. Albert Leonard as Celebrant. Burial was made at Hammond Cemetery, Middlebury Township, Tioga County. Mr. Oscar J. Phillips died at his home on Wellsboro street last Saturday evening after a long illness. He was a veteran of the civil war. He leaves a widow, two daughters and a son. The funeral will be held Tuesday; burial at Hammond. Middle Ridge, April 15th – Mrs. Jeannette Plumley Hemingway diedat Coudersport Hospital last Saturday morning, following a two week’s illness. She was born in this place 27 years ago, April 4, the daughter of the late Daniel and Nettie Plumley. The deceased is survived by her husband; her six-year-old son; mother; four sisters and five brothers. Mrs. Hemingway was the youngest of a family of ten. Her many friends mourn her untimely death. Burial was made at Hammond. Death of Mrs. Delia Potter Cole – Mrs. Delia Abigail Potter Cole, aged nearly 93 years, widow of the late Asa Clark Cole, of Hammond, who died May 22, 1887, died Monday morning, Feb. 21, at 7 o’clock, at the home of her daughter, Mrs. John McInroy, on East avenue, Wellsboro, Pa., after a long illness. She had been confined to bed for over four years. Mrs. Cole was a daughter of the late Henry H. and Abigail Maxwell Potter, and was born at Lawrenceville, Pa., April 9, 1828. She was married to Mr. Cole on June 4, 1845. To them five children were born – Frank and Arthur, who died in infancy; Herbert Cole of Boise, Idaho; Mrs. John McInroy and Mrs Mary Hakes, of Wellsboro. Besides her three children, Mrs. Cole is survived by a grandson, Howard Hakes, of New York City, and a granddaughter, Mrs. Nevah McInroy Campbell, of Cleveland, Ohio; also by two sisters, Mrs. Alice Brown, of Crookedcreek, and Mrs. Julia A. Potter, of Syracuse, and one brother, Albert W. Potter, of Buffalo. Mrs. Cole was a sister of the late Jerome B. Potter, Benjamin Potter and George Potter. The funeral will be held tomorrow afternoon at one o’clock at the home of Mr. and Mrs. John McInroy on East avenue. Rev. J. W. Torkington, rector of St. Paul’s Episcopal church, will officiate and the remains will be taken to Hammond, Pa., for interment. Mr. George W. Potter, who was well known in all this region, died last Wednesday at his home in Middlebury of cancer of the stomach, in the seventy-second year of his age. He was born at Tioga, July 4, 1835. With the exception of three years residence at Hammond, Ind., his whole life was spent in this county and sixty one years of this period in this immediate vicinity. He married Miss Marian Chase August 4, 1863 and to them were born four children – Mrs. George E. Morton of Keeneyville, Mrs. P. J. Lyon of Hammond, Ind., the other two dying in infancy. Mr. Potter was a tiller of the soil and he lived the simple life, a man of unsullied character, honest, frugal, industrious, devoted to family and friends, faithful and true in all the relations of life. He was naturally of a sunny and cheerful temperament and, disposed to look on the bright side, made him a welcome guest at social gatherings and brought him a cordial greeting everywhere. His long and painful illness was borne with great patience and fortitude. Surrounded by his family – wife, children and grandchildren – he passed from the material into the spiritual realm, departing in the ripeness of years to answer the inevitable summons. After life’s fitful fever he sleeps well; peace to his ashes! The funeral was held at the family residence on Friday, the service being conducted by Rev. Mr. Lewis; burial at Hammond. The Late Henry H. Potter. A sketch of his life – his official and business career – his noble traits of character. Henry H. Potter has died. How often we witness the departure of those who helped change our country from unbroken forests to cultivated fields, happy homes and cheerful presides. The pioneers are leaving us. One by one, the family circles are being broken and our friends are departing to join those who have passed beyond the River. In a few short fleeting years the hardy men and women our fathers and mothers, who braved danger and encountered privations that we shall never know, will have passed from earth to the Better Land leaving us examples of industry, economy and integrity worthy of imitation. Mr. Potter was no ordinary man. But few of the early settlers made the impress he did upon the community in which he lived for so many years, and upon the people amongst whom he finally died. I can remember him as far back as 1844. He was then in the prime of a vigorous manhood, taking a leading part in all public affairs. Henry H. Potter was born in the State of Rhode Island, September 13th, 1791 and died in Middlebury, March 24th. 1879 in his 88th year. His father moved to Pompey, Onondaga county, New York about 1804. At that time Central New York was an almost unbroken wilderness. The red men were then in possession of the country. Mr. Potter being the oldest of a family of twelve children surrounded by forests, wild beasts and Indians, during the years of his boyhood suffered privations beyond our comprehension. When the war of 1812 came on the young man, then only 19 years of age, has then as ever after a pure lover of his country and her institutions, entered the military service and served under Gen. Scott at home and on the Canadian frontier. Mr. Potter was thrice married. Manson E. Potter, now living in Minnesota, was the only child of his first marriage. Soon after the death of his first wife, while still residing in New York he married, Miss Abigail Maxwell, by whom he had three children – Howard H., who died in Baraboo, Wisconsin, about a year ago; Jane, wife of W. A. McLean, residing at Hammonds in this county and Delia, wife of A. C. Cole of Middlebury, Pa. About 1824 Mr. Potter moved to Spring Mills, Allegany county, New York, and built the fine mill at that place, thus giving the hamlet its name. He remained there until February 1827 when he moved to Lawrenceville, in this county. While there he kept a hotel, in what was afterwards known as the old Slosson stand. Soon after coming to this county his family circle was again broken by the death of his second wife, leaving him with a family of four small children. About two years afterwards, March 12, 1829, he married Melinda G. Stevens, who was born in Vermont, and was a daughter of Martin Stevens and a sister of the late D. G. and Ezra Stevens, of Middlebury. By his third wife, with whom he live happily for more than fifty years and who still survives him, he raised a family of eight children – Harriet, who married W. H. Currier of New Hampshire, and resided in that state until the death of her husband, which occurred about a year ago; Jerome G. Potter, formerly Sheriff of this county and at present Sergeant at Arms of the Pennsylvania House of Representatives, and Angie D. wife of Mr. H. E. Potter, residing at Wellsboro: Benjamin G. now living at St. Slair, Michigan; Julia A., wife of L. A. Potter, living now at Manlius, N. Y.; George W. and Albert W. Potter, and Alice wife of Poleman Brown, of Middlebury – making a family of twelve children, all married and all living excepting Howard. Here we have the remarkable instance of a man raising a family of twelve children, leaving eleven surviving him, surviving two wives and then living with his third one more than fifty years! Who can cite a parallel? Somewhere about 1833 Mr. Potter moved to Tioga and kept a tavern in what was afterwards known as the old “Butler Smith” Hotel. Soon after that the Tioga railroad was projected, and Mr. Potter contracted to build two miles, including the Little and Big Hill sections in the gap in the mountains above Tioga village. He did this work in the years 1836, 7 and 8. The Railroad Company failed, owing him a large amount of money and causing his financial ruin. He converted everything he had into money, paid the men who had been in his employ every dollar he had in the world, and then he was still largely in their debt. In his emergency he called upon B. C. Wickham, who was then in trade at Tioga, told him his trouble – that he was still owing his men a large amount – many hundreds of dollars, and said if Mr. Wickham would trust him for enough to pay them he would make him good should he ever be able. Mr. Wickham knew his integrity and trusted him, and every laborer secured his full pay – one hundred cents on the dollar. IN after years, when he got upon his feet again, Mr. Potter repaid Mr. Wickham, principal and interest. I have heard him speak of Mr. Wickham’s great kindness to him, in those dark days with eyes swimming in tears of gratitude and stating that though his friend trusted him in his poverty he never asked him for his pay, but left that to his own good pleasure. It was always a source of great gratification to him that though the failure of the Railroad Company caused his own utter financial destruction he could truthfully say that his employees never lost a dollar by him. In 1840 after his failure at Tioga, he moved to the old Bryant farm in Farmington. Here he had a hard struggle with the keenest poverty – a large family and no means, and railroad debts hanging over him. Years ago I heard him tell of those times and an incident which occurred during the year he lived on the Bryant farm so …ibly show the difference between men, that I shall never forget it. It wll (? Can’t read?) While he was living at Tioga, Will and W ____, well known to the old settlers got Mr. Potter to go to a certain place to get a yoke of oxen that he (W.) had bought and sent his note along for payment. The person having the oxen would not take W’s note, and so Mr. Potter gave his own note for the oxen, and took and delivered them to W. and told him that he had given his own note, which W. promised to tear up and destroy. Mr. Potter though ? about it. Mr. W. afterwards moved to Williamsport, and during potters time on the Brant farm wrote him a letter to come to Williamsport on business of the most importance. He met Mr. Potter with face beaming in smiles, and after proposed showing him the points of interest and finally showed him their new jail recently built. As soon as he had decoyed him into the debtor’s cell (they could then imprison for debt) he had him locked ? in payment, or the note he had given for the oxen years before, and which had been bought for W. himself. He kept him in jail for ten days. Friends then ? the outrage and offered to bail Mr. Potter out; but while he thanked then he felt so ? outraged that he refused their offers and stayed there until W. yielded to the force of public sentiment and set him at liberty. I might add here the W. notwithstanding his tricks and cunning devices – and they were legion, as many of our fathers knew to their sorrow – died in poverty, and unregretted. Here is an act of another sort: A gentleman by the name of Erastus Dodge, living at Knoxville, near Corning, N.Y., had a large debt against Mr. Potter, and he came to him in reference to its payment about the time of the above incident. He stayed all night, partook of his humble fare and saw his large family of small, ill clad hardworking children and his apparent unsuccessful struggle with fate. In the morning Mr. Dodge asked him if he had a team. He said he had, but a very valuable one. One horse was given him and the other he bought for five dollars. Mr. Dodge asked him if he could get his team to Painted Post. He said he thought he could. Mr. Dodge told him to come there on important business in which they were both interested. Mr. Potter went and Mr. Dodge loaded up his wagon with provisions and groceries – all his team could haul – and told him to take them home and say nothing about pay or the old debt. If he could ever repay him, all right, if he was never prospered so he could pay it would all be even between them when they came to meet in the Great Hereafter. But he was repaid and Mr. Dodge found that he had merely cast his bread upon the water. In 1843 Mr. Potter was elected County Commissioner. In 1844 he moved to Middlebury Center or “Potter’s” where he afterwards resided till the time of his death. In 1847 he was elected Sheriff, lived in Wellsboro until 1849, and then went back to his old home. Some time before this he was elected County Auditor and served for three years. He was Postmaster at Middlebury Center from the time of the creation of the office for a period of nearly thirty years. Mr. Potter possessed many generous qualities. He never had so far as I can remember, a contested lawsuit. No man ever accused him of a dishonest act or an attempt at over reaching. Many years ago he bought at Sheriff’s Sale the William Catlin property in Charleston, consisting of two separate farms. One he sold to Addison and Lyman Potter, and getting enough from them to repay him, he very generously gave the other farm to the wife of Mr. Catlin for her sole benefit, and it is as good a farm of 70 acres as there is in Charleston. At another time he bought a farm at Sheriff’s Sale and then made a present to former owner in cash of six hundred dollars and that was much more than he ever realized out of it. Many more examples might be cited indicative of the man. He was generous to a fault, devoted to his wife, kind to his children, and a friend to all. I cannot now remember of his speaking an unkind work to or of any one. He was full of humor, fond of a joke, could take as well as give one, and as a genial and kind-hearted companion his company was sought by all who knew him. He is gone – diedin the ripeness and fullness of years, leaving behind him a noble and faithful wife, who has been a mother to three sets of children, brought them all up in honor and respectability and has faithfully and devotedly helped him bear the burdens and trials of life for more than a half century. PURVIS - WILSTON, Hazel Alice (Purvis) "Aunt Saw-See"
In loving memory of Hazel Alice (Purvis) Wilston "Aunt See-Saw" of Tioga, PA, age 74, who died Wednesday, July 18, 2007, at Strong Memorial Hospital in Rochester, NY. She was born December 19, 1932 in Canoe Camp, PA, the daughter of the late Faye and Ruth (Murray) Purvis. She graduated from Williamson High School in 1951. Hazel previously owned and operated the "Bush House" in Tioga, PA, and was a waitress at numerous establishments in Tioga County, where her customers came from miles around to see her smiling face. Among her pastimes were cooking, baking bread and making desserts, dancing, upholstering, playing pinochle and being a grandmother. She was a member of the Arnot Sportsman's Club in Arnot, PA. She is survived by her son and daughter-in-law, Edward and Amy Wilson of Tioga, PA; and granddaughter, Elizabeth Wilston of Middlebury, PA; special niece, Jerry Lee Degliequi; mother-in-law, Winifred Wilston; longtime companion, Ramon Short; sisters, Wilda Carleton, Wellsboro, Doris George, Daytona Beach, FL, Virginia Holcomb, Liberty, and Joan Heck, Tioga. She is also survived by numerous nieces, nephews, grandnieces and grandnephews as well as a host of friends. She was predeceased by husband, Donald Wilston; sisters, Eleanor Tremaine, Nell Osterhoudt, Ruth Brown, Betty Edwards; and brother, Clifford (Butch) Purvis. Friends and family are invited to call on Sunday, July 22, 2007, from noon to 3 p.m. at The Jacquelyn A. Buckheit Funeral Chapel, Crematory and Monuments, PC, 637 South Main Street, Mansfield, PA. Funeral services will be held immediately following the viewing at 3 p.m. at the funeral home with Rev. John Shypulefski officiating. Burial will be in Hammond Cemetery, Tioga, PA. Published in the Star-Gazette on 7/20/2007. Age 84, of Wellsboro, PA, died on Friday, May 16, 2008. Wilda was the wife of 40 years of the late George W. Carleton. Friends may call on Tuesday, May 20, 2008, from 6 to 8 p.m. at the Carleton Funeral Home, Inc., Wellsboro, PA. Funeral services will be held on Wednesday, May 21, 2008, at the funeral home at 10:00 a.m. with Pastor Alex Perednia officiating. Interment will be in the Hammond Cemetery. Published in the Star-Gazette on 5/18/2008. Mr. S. H. Redner, who has been employed for several weeks at the home of Silas Mattison, died very suddenly last Tuesday; funeral services were held at the Madison home Friday; burial in Hammond cemetery. --S. H. Redner, aged 69 years, died very suddenly last week Tuesday morning about 8 o’clock at the home of Mr. and Mrs. S. J. Mattison at Holiday, with whom he had been staying the past few weeks. Mr. Redner is survived by his widow, two sons and one daughter, all of Elmira. Burial in Hammond cemetery. -- Gladys Emma, daughter of Howard and Mabel Root, died Dec. 18. She is survived by her parents, one sister, Genevieve and two brothers, Glen and Cecil. Funeral services were held Wednesday morning at 11 o’clock. Rev. R. A. Fargo officiated, burial in the Hammond cemetery. Mr. and Mrs. A. G. Hammond attended the funeral of Howard Root in Elmira, Saturday; burial in the Hammond cemetery. Crookedcreek, July 25. – Isaiah Root, of Mansfield, formerly of this place, died after a long illness. He was nearly 74 years of age. The remains were brought here, where the funeral was held at 1:30 o’clock from the Baptist church. He is survived by the following children – Emma and Mae, at home, Martha, of Wellsboro, Nida, of New York City, Mrs. Ford Crippen, of Roseville, and John Root, of Hornsby, N.Y., also by seven grandchildren and three sisters, Mrs. Abbie Rathbun, of Waverly, N.Y., Mrs. Mary Westover, Oxford, N.Y., and Mrs. H. P. Holiday, of Crookedcreek. Rev. Mr. Purdy, of Mansfield officiated; burial in the Hammond cemetery. Crooked Creek, Sept. 10 – James Root, of Big Flats, N.Y., died at his home in that place on Sunday last. Mr. Root was a resident of this place up until about ten years ago, having moved to the place where he died. He was a brother of George Root, of this place. The remains were brought to Hammond on Tuesday, where funeral services were held, Rev. Gwyn officiating; burial in the Hammond cemetery. Miss L. Mae Root, 76, of Mansfield, died Saturday, January 5, 1963. She was a member of Mansfield Methodist Church. Survived by sisters, Miss Martha Root with whom she resided, Mrs. Neida Nestel of New York City, Mrs. Kathryn Crippen, of Mecklenberg. Funeral held at Mansfield Methodist Church Tuesday, the Rev. Harry Sagar officiating. Burial in Hammond Cemetery. --Mrs. Louisa N. Root, aged 30 years, formerly of Mansfield, died of Bright’s disease at her home in Knoxville a few days ago. She is survived by her 9-year-old daughter, Bertha Root, her father, I. T, Root, of Crookedcreek, one brother, John Root, of Corning, and five sisters – Emma, Martha and May Root of Mansfield, and Nida and Kathryn Root, of New York. The funeral was held on Sept. 3, at the Hammond Baptist church, Rev. A. B. Conrad officiating; burial in the Hammond cemetery. Martha M. Root, age 92, of Mecklenburg, NY, formerly of Mansfield, died August 31, 1972. Funeral service was held at Heal Funeral Home, Odessa, Saturday, Sept. 5, the Rev. Ford Cripper, officiating. Burial was in Hammond Cemetery, Tioga, Pa. She is survived by a sister, Mrs. Kathryn Crippen, Mecklenburg; nephew Mr. Revo of Corning; two nieces, Mrs. Helen Hager of Corning and Mrs. Margaret Tabor of Mecklenburg. Crooked Creek, Jan. 8 – Mr. Carl Rutty, aged 19, died of consumption at his home on Hills Creek December 30th. Funeral services were held from the church at Hammond, interment being at that place. He was a son of Samuel Rutty, and had a brother in the Philippines. Hammond, June 25 - The remains of Mrs. Stevens, widow of the late Martin Stevens, of Hills Creek, were brought to this place for burial, funeral services being held at the Baptist church here on Tuesday. Hammond Cemetery. --Walter N. Ryan, aged 30 years, of Wellsboro, died at the Forest Lawn Sanitarium Sunday noon, after a three weeks’ illness of typhoid fever. His wife and two children, his parents, Mr. and Mrs. William Ryan, of Elmira, recently of Wellsboro, and several brothers and sisters, survive him. The funeral was held yesterday, at Hammond, Pa., Rev. C. G. Langford officiating; interment in the Hammond cemetery. Bert Shellman, 80, of Tioga RD 1, died last Thursday morning, June 17, at the Blossburg State Hospital. Born July 24, 1873 in Tioga he was the son of William and Maria Shellman Shellman. He was a member of the Baptist Church at Hammond. He is survived by his wife, Minnie Shellman, of Tioga, RD 1; three daughters, Mrs. Lyle Vance of Mainesburg, Mrs. Adam Wilson of Crooked Creek, and Mrs. George Benson, of Tioga; two sons, William Shellman, of Tioga, RD 1, and Earl Shellman, of Millerton, RD 1; one sister, Mrs. John Jordan, of Corning; ten grandchildren and five great-grandsons. The funeral was held on Monday at the Baptist Church in Hammond, Rev. Eugene Hill of Tioga and Rev. Orey Crippen of Roseville officiating. Burial in the cemetery at Hammond. The late Mr. Frank H. Simonds – Mr. Frank H. Simonds, 20, of Hammond, Middlebury township, son of Mr. and Mrs. Oscar Simonds, of that place, died at Graceton, Indiana county, on May 26th. Mr. Simonds had lived and worked at home up to March 1st last, when he, with Messrs. Briggs Spaulding and Samuel Benson, also of Hammond, went to Graceton, where they had secured situations with a large coal and coke company. Mr. Simonds was taken sick on May 15th and his two friends telegraphed his relatives and Mr. A. G. Hammond, a brother-in-law residing in Hammond, went to his bedside. His fatal sickness was spinal meningitis. His body was brought to Hammond and buried there May 29th, Rev. Mr. Anderson, of the Tioga Methodist church, conducting the funeral services. The deceased was one of 12 children, among whom only one death had occurred, that of his elder brother, Leroy G. Simonds, who died January 19th, 1900, in Coudersport of the same disease. During meetings conducted by Rev. Bernauer at Hammond last winter Frank made a profession of Christian faith, and he was held in high esteem by all who knew him. He was a member of Tioga Lodge of Red Men, who attended the funeral in a body. Mr. Harland Simmons died at his residence in Hammond last Thursday evening of pneumonia. His funeral was held Sunday. He leaves a wife and three children. Harry B. Simonds, of Tioga, died Thursday night at the age of 79. He leaves three daughters, Mrs. Marie Gumberte, of Tioga; Mrs. Kathleen Whitman, of Kinsun, and Mrs. Donna Rowley, of Painted Post, N.Y.; one son, Clive Simonds, of Tioga; three sisters, Mrs. Nellie Horton, Mrs. Minnie Miller and Mrs. Amy Davis, all of Ashtabula, Ohio; nine grandchildren and five great grandchildren. The funeral was held Sunday in the Hammond Baptist church, the Rev. Robert Matthews officiating; burial in the Hammond cemetery. Mrs. Ida M. Bryant – Tioga RD, Oct. 19 – Word has been received here of the death of Mrs. Ida Simonds Bryant on Oct. 12, at the home of her sister, Mrs. Nellie E. Horton, in Ashtabula, Ohio with whom she chose to make her home and by whom with the companionship and assistance of another sister, Mrs. Minnie Simonds Miller, she was tenderly cared for until her death. Mrs. Bryant was born at Niles Valley, daughter of Oscar and Victoria Bailey Simonds, and it was there she spent her early childhood, but later moved with her parent to Hammond. At the age of 18, she was married to Calvin R. Bryant of Peru, Bennington county, Vermont, where she spent several years of her married life before taking up her residence at Middlebury Center, where she lived until the death of her husband in 1930, and it was there at the home which her husband had built and where she had spent so many happy years surrounded by her old friends and neighbors, as well as her own near relatives, the funeral was held. She was buried at Hammond. Irene B. Age 72, of Wellsboro, PA, died on Tuesday, March 9, 2004. She was born November 25, 1931 in Hammond, PA, a daughter of the late Oscar P. and Mildred (Cole) Simonds. Irene was a former member of the O.E.S., Tioga, PA. She had worked as a nurses aide at the Broad Acres Nursing Home for many years. Irene is survived by son, Steven VanGorden of Elkland, PA; daughters, Jan Johnson of Perry, IA, Beverly VanGorden of Altoona, PA; brothers and sisters-in-law, Cliff and Pat Simonds of Wellsboro, PA, Karl Simonds of Tioga, PA, Calvin and Barbara Simonds of Wellsboro, PA, Clayton Simonds of Addison, NY; sisters and brothers-in-law, Joyce and Jack Sly of Addison, NY, Donna and Eric Packard of Wellsboro, PA; grandchildren, Sheree Johnson, Sebrina Johnson, Samantha Johnson, Sandi Johnson, Cody Johnson; one great-grandson; and many nieces, nephews, and cousins. Friends may call on Thursday, March 11, 2004, from 6 to 8 p.m. and on Friday, March 12, 2004, from 10 to 11 a.m. at the Carleton Funeral Home, Inc., Wellsboro, PA. Funeral services will be held on Friday, March 12, 2004, at 11 a.m. at the funeral home with the Rev. Darwin "Tink" Cranmer officiating. Interment will be in the Hammond Cemetery. Memorial contributions may be made to the American Diabetes Association, 2040 Linglestown Rd., Suite 106, Harrisburg, PA 17110. --The burial of the late Mr. Leroy Oscar Simonds, aged 24 years, of Coudersport, took place at his old home at Hammond on the 21st instant. He died of congestion of the brain after only three days illness. His sickness began with a cold and symptoms of grip, followed quickly by the graver trouble. His wife (nee Miss Clara Fenton, of Elkland) was visiting at her parents’ home in that borough when she was summoned home by a telephone message from her husband, stating that he had a severe cold. They had been married less than two years and had one child, a daughter. Mr. Simonds had many friends in this county. His was the first death in a family of twelve children. He had lived seven years in Coudersport where he was engaged with his brother-in-law, Mr. F. E. Horton, in the milling business, and where he was esteemed very highly. --Lillian, the two-year-old daughter of Mrs. Leroy Simonds formerly of Coudersport, died on August 11th in Elkland after a short illness, at the home of her grandparents, Mr. and Mrs. Amos Fenton. Burial at Hammond. Word was received here Thursday, November 28 at 5 p.m. by Mr. and Mrs. Oscar P. Simonds of Tioga RD 1 of the death of their daughter, Loretta, 20, following an automobile accident Wednesday night in California. Miss Simonds died in a hospital in New Hall, Calif., a few hours after the accident which killed her finace instantly. The Tioga girl had been employed in California since leaving Tioga last March. Besides her parents, Miss Simonds is survived by four sisters, Mrs. Richard Webster of Tioga, Mrs. George B. West of Detroit, Mich, Mrs. Leo Rielly of Saugus, Calif., and Miss Donna Kay Simonds, at home; maternal grandmother Mrs. Robert H. Cole, Sr. of Tioga and several nieces and nephews. Mrs. Martha I Hammond, aged 71 years, died suddenly of a heart attack Wednesday evening at her home in Hammond. She was born in Chatham township, Sept. 4, 1868, daughter of Oscar and Victoria C. Bailey Simonds, pioneer residents of Peru, Vermont. She was married Feb. 22, 1888, to Arthur Hammond, of Hammond. Mr. and Mrs. Hammond celebrated their 51st wedding anniversary Feb. 22. Mrs. Hammond is survived by her husband, one daughter, Mrs. John Stevens, one grandson, Arthur Stevens, and one great-granddaughter, Shelby Jean, of Hammond. She is also survived by five sisters, Mrs. Alice Johnson, of Hammond; Mrs. Nellie Horton and Mrs. Frank Miller, of Ashtabula, Ohio; Mrs. Sarah Rouse, of Tioga, and Mrs. Amy Davis, of East Aurora, N.Y.; also one brother, Harry Simonds, of Tioga. Mrs. Hammond was a member of the Hammond Baptist church, Tioga Valley Rebekah Lodge and Crookedcreek Grange. The funeral was held Saturday, Rev. George Burroughs, of Pine City, assisted by Rev. Orey M. Bolt, of the Tioga and Hammond Baptist churches, officiating; burial in the Hammond cemetery. Mrs. Seth Johnson – Mrs. M. Alice Simonds Johnson, wife of Seth A. Johnson, of Hammond, died at her home Monday morning. The funeral will be held Tuesday at 2 p.m., at the home; burial at Hammond. The services will be private. Rev. Harold Wass will officiate. She was a daughter of Oscar and Victoria C. Bailey Simonds, was a graduate of Mansfield State Normal School, class of 1887, and was valedictorian of her class. She was a school teacher for over 38 years. She did graduate work in Cornell University. She was married to Mr. Johnson in 1880. She was a member of several literary and scientific societies. Mrs. Johnson, aged 83 years, is survived by her husband, four sisters, Mrs. F. E. Horton, Mrs. F. C. Miller and Mrs. Amy Davis, of Ashtabula, Ohio, and Mrs. Sarah Rouse, of Tioga; one brother, Harry B. Simonds, of Tioga. She was born March 25, 1860, in Middlebury, Tioga, Pa. She was a member of the Methodist church of Arden, N.Y. Some information here on my Great Aunt, Mary Alice Simonds Johnson, from Middlebury Twp. near Hammond, Pa.
Hammond, June 5 – The death of Mr. Oscar Simonds, on May 28th, after a long illness, took from our midst one of our oldest and most highly esteemed citizens. Mr. Simonds was born at Manchester, Vermont, in 1834, and was one of a family of ten children, only two of whom survive – Mr. Dodridge Simonds and Mr. Edward Simonds, of Vermont. He came to this state about 52 years ago and in 1857 married Miss Victoria Bailey. He is survived by his wife and ten children. The funeral was held at the Hammond church on Sunday, May 30th, Rev. A. J. Brown, of Tioga, officiating. Appropriate music was beautifully rendered by Messrs. W. H. Westbrook and C. E. Smith and Misses Edna Westbrook and Lou Bishop, of Tioga. --Mrs. William Bennett went to Tunnell, N.Y., last week and brought the remains of W. D. Simonds here for interment. Mr. Simonds was a former resident of this place, but had resided at Tunnell the past two years. His death was due to paralysis. The funeral was held last Thursday at the church, Rev. Emma Bailey, of Mansfield, officiating; burial in the Hammond cemetery. The death, on the 26th ult. , at her home in Hammond , Of Mrs. Eliza Ives aged 76, a life-long resident of that place, was indeed a happy release. For two years she had been bereft of reason and her sufferings had been very great. During her long, severe illness she was cared for faithfully and tenderly by her eldest daughter, Mrs. John Dailey (s/b Duley). The deceased was well and favorably known in the community where she lived so long. She was a most efficient housekeeper, and before disablement afflicted her she was always ready to welcome to her home and to entertain there both relatives and friends. The size of the crowd assembled at her funeral, held from her home, showed in some degree the esteem in which she was held. Besides her aged husband and daughter already named, Mrs. John Dailey (Duley), of Hammond, she is survived by two other daughters, Mrs. Claude Weever, of Corning, and Mrs. L. Green, of Osceola, and by one sister, Mrs. John Higley, of Chenango county, N.Y.
Mrs. Ellen Ersula Saxton, wife of George Saxton, died at the home of her daughter, Mrs. Perley Potter, in Charleston, Monday evening about 8 o’clock. Mrs. Saxton, who had been ill since May 1929, was the daughter of Benjamin Starkey, formerly of Hammond. She was born April 2, 1853, being at the time of her death 77 years and 9 months of age. December 31, 1871 she was married to J. Norris Reese, who died June 13, 1909. To them, five children were born, Raymond G. of Cleveland, Ohio; Bertha Potter, of Charleston; Orson, of Mayville, N.Y., Irving of Ithaca, and a baby who died in infancy. After the death of her first husband, Mrs. Reese became the wife of George Saxton, who survives her. Mrs. Saxton was a member of the First Baptist church of Wellsboro and a consistent Christian. Funeral services will be held from the home of her daughter in Charleston, Thursday at 10:30 a.m.; burial at Hammond. Rev. R. A. Fargo, of Prattsburg, N.Y., will officiate, assisted by Rev. Denver Chapman of Charleston. Mr. John Starkey, aged 71 years, the proprietor of the well known temperance hotel at Middlebury Center, died at his home Thursday morning of senile gangrene after a long illness. Mr. Starkey was born in Allegany county, New York, the youngest son of William Starkey. When 21 years of age he began for himself on a rented farm but at the end of one year he returned to his father’s farm and finished clearing it up and paying off the debt still due upon it when his father died. There he remained up to 1868, in which year he removed to a farm he had previously purchased at Middlebury Center, where he also acted as superintendent of the turnpike from Tioga to Wellsboro for a number of years. He built and conducted a general store at Middlebury Center for about ten years, and during his whole business career has been actively engaged in lumbering. In 1888 he purchased the hotel there and moved into it the following year. In 1891 the building was burned, but he immediately rebuilt and continued the business. Besides the hotel property, Mr. Starkey owned over 1,000 acres of land in Tioga county, and also a property in Wellsboro, all of which he accumulated by untiring industry and careful management. He was married January 18, 1859, to Caroline Palmer, a daughter of Lemuel M. and Eunice E. (Storer) Palmer, of Rutland township. She was born in Tioga county, March 27, 1839, the fourth in a family of seven children. They had eight children: Addie V., wife of Truman E. Carpenter, of Charleston township; Jennie M., wife of Judson E. Stephens, of Middlebury; Frank W., a merchant at Middlebury Center, who married Anna L. Dennison, of Charleston township, and has two children, Maude and George W.; Angie H., deceased; Fred L. and Nellie B., wife of Byron E. Churchill, of Middlebury township. In politics, Mr. Starkey was a liberal Republican. He was an earnest upholder of temperance, and he professed a belief in Christianity shortly before his death. Very largely attended funeral services, conducted by Rev. N. L. Reynolds, were held from Mr. Starkey’s home Saturday afternoon. Burial at Hammond. Mrs. Philena Barnes, the oldest resident in or about this place, died at the home of her son, E. E. Barnes, up Stevenhouse run, Tuesday, Jan. 2. Had she lived until March she would have been ninety years old. Mrs. Barnes has been confined to her bed for the past seven years. She is survived by three sons and two daughters, besides a number of other relatives. The funeral was held at the church, Jan. 4 conducted by Rev. G. G. Burroughs; burial in the Hammond cemetery. Edward Hammond Steele, age 54, of 2232 B Ridge Drive, Columbia, South Carolina, died December 21, 1977, at his home. He was born May 10, 1923, in Chicago, Illinois, the son of Robert F. and Wilhelmina Dutcher Steele. He was a sales representative for the American Can Company. He is survived by his wife, Margaret Graham Steele, of Columbia, S. C.; three sons, Thomas Steele, of Tallahassee, Florida, Robert Steele, II, Columbia, South Carolina, and John Steele, of Columbia, S. C.; mother, Wilhelmina Dutcher Steele of Brookfield, Illinois; sister, Mrs. Mary Jacobson, of Brookfield, Illinois, and an aunt, Miss Marguerite Steele of Wellsboro. Graveside services were held on Saturday at 10 a.m. at the Hammond Cemetery with Rev. Richard T. Purchase officiating. Arrangements by the William H. Tussey Funeral Home in Wellsboro. Hammond, March 14, - The remains of the late Frank Steele, of Wellsboro, were brought here for burial in the Hammond cemetery last Friday. He was a former resident of this place. Hammond, March 14. – The remains of the late Frank Steele, of Wellsboro, were brought here for burial in the Hammond cemetery last Friday. He was a former resident of this place. Joseph Franklin Steele, aged 79 years, died Wednesday afternoon at his home, 10 Bache street, in Wellsboro, after a long illness. The funeral was held Friday afternoon, Rev. C. W. Sheriff, pastor of the First Baptist church, officiating; burial at Hammond. He was born January 22, 1855, in Burlington township, Bradford county, and had been a resident of Wellsboro for 33 years. He was a well known and highly esteemed citizen. He is survived by his widow, Mrs. Emmer (Emma) Hammond Steele, and three children, Dr. Robert Steele, of Chicago; Hugh H. Steele, of Coudersport, and Miss Marguerite L. Steele, of West ?, Pa., and three grandchildren. He is also survived by two brothers and three sisters, J. H. and L. G. Steele, of Union, N.Y.; Mrs. Frank Carey, of Granville Ctr, Pa.; Mrs. George Allen, of Burlington, and Mrs. Jerome Stropes, of Luther Mills, Pa.
Mrs. Mary Thurston, a former resident of this place, died at the home of her son, Frank Thurston, at Beaver Dams, May 5, aged 83 years. She was a resident of this place for over 60 years. The remains were brought here Sunday for interment. She is survived by four daughters and one son - Mrs. Frank Hammond and Frank Thurston, of Beaver Dams; Mrs. Chas. Carleton, Mrs. C. H. Stevens and Mrs. G. W. Kenneda, of this place; also several grandchildren and seven great-grandchildren. Among those who attended from a distance were: Mr. and Mrs. Frank Steele, of Wellsboro; William Hallahan, of Corning, and Mrs. John Duley, of Knoxville. Messrs. K. C. Hammond, Ralph Kenneda, Kelsey and James Carleton and P. C. Stevens attended the funeral of their grandmother, Mrs. Mary Thurston, at Beaver Dams. Mrs. Ada McLean, aged 79 years, died at her home in Geneva, N.Y., Nov. 15. She was the daughter of Daniel G and Eveline Stevens, who were among the early settlers of Hammond, Pa. She was married to John A. McLean Oct. 1882, and to them were born four children: Henry McLean of Geneva; Mrs. Peter Marvin, of Elmira Heights; Clare, deceased, and Mrs. Frank Losey, of Geneva; a brother, Horace L. Stevens, of Hammond, and a sister, Mrs. Clara Marvin, of Elmira; also three grandchildren. Most of her life was spent at Hammond. Arthur H Stevens, 71, 30 Austin Street, Wellsboro, died suddenly today Wednesday, January 13, 1982 at the emergency room of Soldiers and Sailors Memorial Hospital Wellsboro. Born August 7, 1910 in Hammond, Pa he was the son of John and Hazel Hammond Stevens. He was a retired employee of the New York Central Railroad, a member of the Holiday Baptist Church; Past Master of the Tyoga Lodge #373 F & A M and a member of the Coudersport Consistory. Surviving are his wife Madeline Comfort Stevens of 30 Austin Street, Wellsboro and one daughter, Mrs. Jean Brown, of Kingston, N.Y. Friends may call at the Tussey Mosher Funeral Home, Wellsboro, Friday, January 15, 1982, 2 to 4 p m and 7 to 9 p m. Funeral services will be held there Saturday January 16 at 2 p m with The Reverend James L Snyder his pastor, officiating. Burial will be in Hammond Cemetery, Middlebury Township. Tyoga Lodge #373 F & A M will conduct services Friday at 8 p m at the funeral home. Charles H. Stevens, a lifelong resident of Middlebury, died at his home September 8. He was born July 8, 1857, son of Henry and Elizabeth Stevens. His father was a native of Vermont. He is survived by his widow, Anna Thurston Stevens, to whom he was married May 9, 1876, by one son, Paul Stevens, of Tioga, and by two sisters, Mrs. Ida Stevens, of Los Angeles, and Mrs. Kate Hammond, of Washingtonville, N.Y. Mr. Stevens was a member of the Hammond Baptist church and a lifelong member of the Tioga Grange, No. 1223. The funeral was held Thursday; burial in the Hammond cemetery. Mrs. Clara B. Marvin, aged 92 years, died at 9:05 a.m. Friday, Dec. 19, at the home of her daughter, Mrs. Archie Marvin, in Elmira Heights. She is survived by three daughters, Mrs. Archie Marvin, Mrs. R. D. Pitts, of Elmira, and Mrs. W. M. Smith, of Hemet, Calif.; nine grandchildren and 16 great-grandchildren; a brother, H. L. Stevens, of Hammond. The funeral was held Sunday, burial at Hammond, Pa.
Ezra B. Stevens, 92, died Thursday, October 7, 1976, at the Green Home, Wellsboro, where he was a resident. Mr. Stevens, formerly of Tioga, was a charter member of Hammond Baptist Church, Tioga, and the Middlebury Baptist Church, Middlebury. He was a retired carpenter and chairman of the Hammond Cemetery Association for many years. Surviving are his wife, May, at the Green Home; three sons, Walter, of Nashville City, California; Daniel, of Painted Post, N.Y., and Ross, of Tioga; seven grandchildren, and one great-granddaughter. Services were held Sunday at the Tussey Funeral Home, Wellsboro, with the Rev. James Snyder officiating. Burial was in the Hammond Cemetery, Tioga. --Mr. George O. Stevens, formerly a well known resident of Tioga, died at his home in Galeton, Potter county, last week Sunday. His death resulted from injuries received by being thrown from a wagon a few days before. The funeral was held at Hammond, and it was very largely attended. Mrs. John H. Stevens – Mrs. Hazel Hammond Stevens, aged 59 years, wife of John Stevens, of Hammond, died March 30, at the Soldiers and Sailors Memorial Hospital in Wellsboro. Mrs. Stevens was born in Hammond, April 5, 1889, the only child of Arthur and Margaret Simonds Hammond. She was an active member of the Hammond Baptist church. In early life she attended the Tioga schools and later graduated from the Mansfield State Teachers College and taught two years before her marriage. Survivors include her husband, one son, Arthur H., and granddaughter, Jennie Stevens, all of Hammond. The funeral was held at the home and at the Hammond Baptist church, Rev. Robert Mathews, pastor, officiating; burial in the Hammond cemetery. Horace L. Stevens died March 5, at the home of his son, Ezra B. Stevens, in Middlebury, after a long illness. He was born at Hammond, son of Daniel G. and Evelyn Dunham, Dec. 19, 1847, and lived his entire life in Hammond. He was a member of the Tioga Valley I. O. O. F. for over 60 years, and a lifelong member of the Hammond Baptist Church. His wife, Augusta N. Bailey Stevens, died Dec. 18, 1942. They were married Dec. 25, 1871. He is survived by two children, Mrs. Grace M. Thurston, of Beaver Dams, N.Y., and Ezra B. Stevens, of RD 1, Tioga. Another son, Daniel G. Stevens, of Elmira, died several years ago. He is also survived by ? grandchildren and 11 great-grandchildren. He had made his home with Mr. and Mrs. Ezra B. Stevens for the past 14 years. The funeral was held Tuesday at the Hammond Baptist church; burial in the Hammond cemetery. --Mr. James Stevens, a former resident of Middlebury, died last week Sunday at Coudersport, Potter county, of consumption. The remains were brought to Hammond last week Tuesday for interment. --Mr. John Stevens, who died in Blossburg on Jan. 26th, as a result of paralysis and an attack of bronchial pneumonia, was buried January 29, in the Hammond cemetery, near Tioga. The funeral service was read in St. Andrew's Episcopal church, Tioga, by Rev. Fremont N. Hinkel, of Blossburg, who was called upon to officiate in the absence of the minister in charge, Rev. W. C. Charlton. Deceased was 81 years of age, came to Tioga in 1863, but has been living in Blossburg, with his son, Mr. John Stevens, ticket agent for the Erie Railroad, during the past year. John William Stevens, 81, of Tioga RD 1, died Thursday, May 12, 1966. He was born February 14, 1885 in Middlebury Township, the son of Judd and Jennie Starkey Stevens. He was a member of the Hammond Baptist Church. He was a retired farmer. Survived by his widow, Nina Goodwin Stevens of Tioga; a son, Arthur H. of Wellsboro; two step-daughters, Mrs. Warren Mulford of Wellsboro and Mrs. Harry Rice of Tioga; one granddaughter. Funeral was held from the Johnson & Tussy Funeral Home Sunday at 2 p.m. with the Rev. Fay Crossman and Rev. Orey Crippen officiating. Burial in the Hammond Cemetery. Judd H. Stevens, of Hammond, died at his home Thursday, Dec. 26, after being in poor health for the past two years. He was born in Hammond, Middlebury township, October 9, 1858, son of William C. and Elizabeth Button Stevens. He spent his entire life in that vicinity and was well known and respected throughout Tioga county. He is survived by his widow, Mrs. Jennie Stevens; one son, John S. Stevens, and one grandson, Arthur Stevens, of Middlebury and three brothers, Abram and William of Keeneyville, Joseph, of Wellsboro, and two sisters, Mrs. William Churchill and Mrs. Victor Cole, both of Middlebury. The funeral was held Saturday. Rev. Orey E. Crippen, pastor of the Hammond Baptist church, of which Mr. Stevens was a member, officiating; burial in the Hammond cemetery. Mrs. Henry H. Potter died very suddenly last Friday, of paralysis of the heart, at the home of her daughter, Mrs. P. E. Brown, in Middlebury. Mrs. Potter, whose maiden name was Melinda G. Stevens, was born at Windsor, Vermont, September 12, 1807. She came to this county when she was sixteen years of age, and was married to Mr. Henry H. Potter at Lawrenceville about 1825, she being his third wife. She reared four step-children and eight of her own, all of whom grew to be useful and respected citizens. The family moved from Lawrenceville to Tioga, thence to Farmington and, about 1844, to the old Potter's Hotel, in Middlebury, where they resided until the death of Mr. Potter in 1879. Mrs. Potter was a kind and faithful mother, a warm-hearted friend and a thoroughly good woman, and was universally respected. The funeral is to be held at the Holidaytown church this afternoon, Rev. Emma E. Bailey, of the Universalist Church at Mansfield, officiating. Losey Creek, Feb. 15 – William Stevens, for many years a resident of Keeneyville, died at his home in that place last week. He had been an invalid for several years. Mr. Stevens was highly esteemed and respected and was a member of the Methodist church. He is survived by four sons and three daughters. Funeral services were held from the church last Friday, Rev. G. Gardner officiating. Middlebury Lodge, I.O.O.F., of which the deceased was an honorary and active member, attended the service in a body. Burial at Hammond according to the ritual of the order. Mrs. Amy Thurston Hammond, 104, of 140 Charles Street, Painted Post, N.Y., widow of Frank Hammond, formerly of Hammond, died Sunday, November 12, 1961, at the home of her grand-daughter, Mrs. Floyd Innes of the Painted Post address. She was born August 20, 1857 in Hammond, the daughter of Anson K. and Mary Steele Thurston, and was a member of the Baptist Church in Hammond, a small community near Wellsboro. She was married to Frank C. Hammond of Hammond, Pa. Mr. Hammond, a lumberman, died in 1926. Surviving are a son, Keith C. of Wellsboro; five grandchildren, among whom are Mrs. William Wheatley, Wellsboro; and Mrs. Howard Lillie of Corning; 14 great-grandchildren and 12 great-great-grandchildren. The family of Amy Thurston Hammond who observed her 100th birthday Tuesday, August 20, held a birthday party at the home of her granddaughter, Mrs. Floyd Innes of 140 Charles Street, Painted Post, N.Y. with whom she resides. The picture, above, shows Mrs. Hammond sitting in her favorite chair. She has one son, Keith C. Hammond of 29 East Avenue, Wellsboro; five grandchildren including Mrs. Howard Lillie of Corning, N.Y., Mrs. William Wheatley and Keith Hammond, Jr., both of Wellsboro; Mrs. Innes of Painted Post and Frank Hammond of Elmira, N.Y.; also 16 great-grandchildren and eight great-great-grandchildren. Those who attended the party were Mr. and Mrs. Keith Hammond, Keith Hammond, Jr., Mr. and Mrs. William Wheatley, William Wheatley, Jr., Jack and Jerry Wheatley, Mr. and Mrs. Richard Wheatley and children Ricky and Cheryl, all of Wellsboro; Mr. and Mrs. Howard Lillie and daughter, Miss Alice Lillie of Corning; Mr. and Mrs. Frank Hammond, Mr. and Mrs. Clifford Hammond, Marlene Hammond, Mr. and Mrs. Frank Hammond, Jr. and children Billy, Susan and Robert, all of Elmira. The aged grandmother sat up all the while the guests were there and talked. A beautiful birthday cake was cut and passed. She was the recipient of 12 beautiful bouquets of flowers, gifts galore and candy. On Monday she counted over 100 cards she had received and had not counted those received on her birthday. Much of her time is now spent in her rocking chair reading newspapers or the Christian Herald, using no glasses. She is proud of the fact that she traveled 35 miles to be the first woman to vote in Middlebury Township after the 19th Amendment to the Constitution was passed in 1919. She is able to walk short distances about the house and cares for her own room making her bed her own way. Mrs. Anna Adele Stevens died Saturday at her home in Hammond. She was born at Hammond, May 18, 1859, daughter of Mary E. Steele and Anson K. Thurston. She was married to Charles Stevens of Hammond in 1877. Mr. Stevens died in September, 1936. Mrs. Stevens is survived by one son, Paul Stevens, of Hammond, one grandson, Robert Stevens, of Tioga, and several nephews and nieces. She is also survived by two sisters, Mrs. Mary Ida Carleton and Mrs. Amy E. Hammond, of Hammond and one brother, Frank A. Thurston, of Beaver Dams, N.Y. Mrs. Stevens was a charter member of the Hammond Baptist church and was an active member, Tioga Grange No. 1223. The funeral was held Monday; burial in the Hammond cemetery, Rev. Orey M. Bolt, pastor of the Tioga and Hammond Baptist churches, officiated. Mrs. George W. Kenneda – Mrs. Rachel Thurston Kenneda, a former resident of Wellsboro, died at a Lockport, NY hospital from injuries caused by a fall, in which she suffered a fractured hip. She had been spending the winter at the home of her son, Ralph Kenneda, in Lockport. She was a resident of Hammond, Pa. She was born in Tioga county and spent practically all her life in this vicinity. She was a widow of George W. Kenneda, of Hammond. She is survived by one son, Ralph Kenneda, and several grandchildren, of Lockport; three sisters, Mrs. Anna Stevens, Mrs. Amy Hammond, and Mrs. Ida Carlton (Carleton), all of Hammond, and one brother, Frank Thurston, of Beaver Dams, N.Y. Infant Debra Vance – Debra Jo Vance, infant daughter of Mr. and Mrs. Kenneth Vance of Lawrenceville, died Sunday, a day following her birth in Wellsboro Hospital. Besides her parents, she is survived by two brothers, Alan and Eddie, at home; maternal grandparents Mayor and Mrs. Edward Bradshaw of Lawrenceville; paternal grandparents Mr. and Mrs. Lyle Vance of Mainesburg; maternal great-grandmother, Mrs. Sara Smith of Elmira, N.Y., and paternal great-grandmother, Mrs. Minnie Shellman of Tioga. Funeral services at the convenience of the family at the Kuhl Funeral Home, Rev. Glen Dewey of Mainesburg officiating with burial in Hammond Cemetery. Crookedcreek, Aug. 15 – Abram L. Westbrook aged 91 years died at his home in Hammond last Tuesday afternoon after an illness of about six weeks. He was born in Middlebury and spent his entire life in this vicinity. He is survived by one son, Roy Westbrook and two grand daughters, Mary at home and Mrs. Joseph Borden of this place, two great grand children, Gladys and Joseph Borden. The funeral was held Thursday; interment in the Hammond cemetery. J. H. Westbrook died at his home here, Wednesday, Jan. 22, aged 86 years. He had been confined to his bed only a few days. He is survived by his aged widow, one daughter, Mrs. G. L. Strait, of Mansfield, and one son, Elroy Westbrook, of Olean. The funeral was held at his home Friday afternoon, conducted by Rev. Emma Bailey, of Mansfield; burial in the Hammond cemetery. Richard Bassett Wheatley, 34, of Wellsboro, RD 2, died at his home Sunday, October 15, 1967 after a brief illness. Born June 22, 1933, in Wellsboro, he was the son of William and Alice Hammond Wheatley. He was a member of the First Baptist Church. He was a member of the Penn-York Dairymen’s Association, the Charleston Grange and the Catlin Hollow Riding Club. For 13 years, he had been a milk inspector for the Borden Company. Surviving are his wife, Rita Vaganos Wheatley, three sons, Richard Jr., Kirk and Kyle, and a daughter, Cheryl, all at home; his parents, of Wellsboro; three brothers, Dr. William K. Wheatley, of Wellsboro; Spec. 4 Jack Wheatley, stationed with the Army in Frankfurt, Germany; Jerry of Philadelphia, and the maternal grandparents, Mr. and Mrs. Keith Hammond, of Wellsboro. The funeral was held Tuesday at Tussey’s Funeral Home with burial at the Hammond Cemetery. The Rev. John Wibrg officiated. Dr. William K. (Doc), D.C. Wellsboro, PA Chiropractor Age 68 of West Avenue, Wellsboro, PA; died June 1, 2000 at Soldiers and Sailors Memorial Hospital, Wellsboro, PA. He was the husband of Marilyn Albers Wheatley whom he married April 12, 1960. He was born November 14, 1931 in Wellsboro, PA, the son of Alice Hammond Wheatley and the late William H. Wheatley. He attended Palmer College of Chiropractic in Davenport, Iowa, and he had his own chiropractic practice in Wellsboro from 1960-1999. He was a loving husband, father and pop pop. He coached Cornell Brothers Softball Team for 14 years. He served in the U.S. Navy during the Korean War on the USS Tabberer. Surviving are his wife, Marilyn Albers Wheatley; mother, Alice Hammond Wheatley of Wellsboro, PA; daughters and sons-in-law, Toni and Ed Cornell of Middlebury Center, PA; Tami and Ed McNett of Wellsboro, PA and Teri and John Kendrick of Wellsboro, PA; brothers: Jerry D. Wheatley of Phoenix, AZ, and Dr. Jack T. Wheatley of Mesa, AZ; grandsons, Will Cornell and Brett Kendrick; granddaughters, Makenzi McNett, Whitney Cornell and Malori McNett. There will be no visitation. A private grave-side service will be held Saturday, June 3, 2000 at Hammond Cemetery with Darwin Cranmer officiating. If desired, memorials may be sent to the Wellsboro Little League, Wellsboro Small Fry Football/Wellsboro Small Fry Football Cheerleading, c/o Wellsboro Parks and Recreation Department, 2 Charles Street, Wellsboro, PA 16901. Arrangements by Tussey-Mosher Funeral Home, 139 Main Street, Wellsboro, PA.
Hammond, May 17 – Laura A. Cole died Wednesday night, May 14, at the home of her son, after nine weeks’ illness. She is survived by one son, Oscar E. Cole, of Hammond; four grandchildren, Beryl L. Tremaine, of Beeman; Robert H. Cole, of Hammond; Walter G. Cole, of Jersey Shore, and Rebecca L. Carpenter, of Ansonia, besides eleven great-grandchildren. The funeral was held Friday; burial in the Hammond cemetery. Age 50 of Tioga, Pa. RD 1. Sunday, March 22, 1981. Friends are invited to call at the Kuhl Funeral Home, Mansfield, Pa. Tuesday 2 to 4 and 4 to 9 pm. Funeral there Wednesday at 1 pm. Rev. John Shypulefski officiating. Burial Hammond Cemetery, Tioga RD 1. 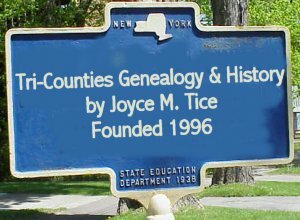 Survived by wife, Hazel Purvis, son, Edward of Tioga; mother, Mrs. Winifred Wilston of Tioga; brother, Claude of Tioga; several nieces and nephews. He was employed by the Spencer Construction Co. of Tioga as a heavey equipment operator, member of Moose in Wellsboro, graduate of 1948 from Wellsboro High School, born March 27, 1930 in Tioga, son of Robert and Winifred Reynolds Wilston. Isaac Wolf, 72, of Crooked Creek, Pa., died Monday, November 21, at the Veterans Hospital in Bath, N.Y. Born November 13, 1888 in Lower Chanceford, PA. He was a retired worker of the York Refrigerator Company, York, Pa. and a member of the Christian Missionary Alliance Church, Crooked Creek. Mr. Wolf was a veteran of World War I, seeing service in France. Survived by wife Jennie, two brothers, David, Red Lyon, Pa.; John, Frederick, Maryland; four sisters, Mrs. Esther Edwards, Sunbury, Pa.; Mrs. Cora Fouth and Mrs. Lizie Jacobs, both of Red Lyon, Pa.; Mrs. Edna Enstine, Stewartstown, Pa. Funeral services Friday, 2 p.m. at C. M. A. Church with Rev. Harry F. Powell assisted by Mrs. Clara Lehmann officiating. Burial in the Hammond cemetery. Friends may call at the family home Wednesday and Thursday. --Mrs. Dennis Tagheny, a former resident of Tioga, died at the Danville asylum one day last week. The remains were taken to Hammond for burial. A meeting of the Hammond Pennsylvania Cemetery Association was held Saturday, March 30, 1968, to hear a report of the Site Committee. The cemetery has to be moved prior to the construction of the Tioga Hammond Dam. Mr. James Carleton reported for the committee. 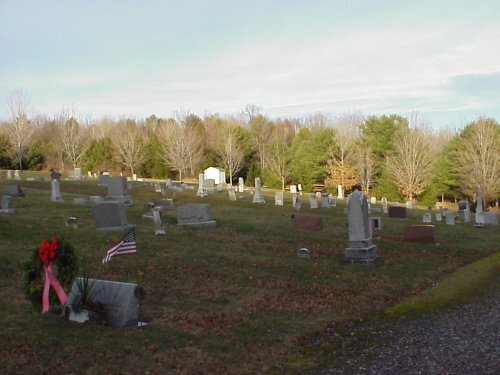 The Site Committee recommended and moved that “When necessary the Hammond Cemetery be transferred to the near by Clark Leet property, situated on the Cole Road, Hammond, Pa. It was passed unanimously. Mr. Ezra Stevens, President and Mr. William Carpenter, Secretary, both senior citizens of the community, resigned. Mrs. Howard R. Lillie was elected President to succeed Mr. Stevens and Mr. George Cole was elected Secretary to succeed Mr. Carpenter. Mr. Clark Leet was elected Vice-president and Miss Marguerite Steele was elected a Trustee.